" iTech is very user friendly. It is very easy to generate and manage patient statements, to create reports for the practice. Their customer support is also superior. I would highly recommend iTech to other physicians and practices." "As a Medical Biller for over 40 years, it is very rare to find the quality of service and teamwork shown by iTech. We have been with iTech, utilizing the expEDIum billing programs, for 10 years. Most impressive program trait, most impressive support. It would be my pleasure to speak with anyone about the program expEDIum and the people of iTech...."
"(iTech EMR Partner) Patagonia Health is the gold standard; Patagonia Health has been phenomenal...Your trainers are so knowledgeable. We love your user groups, when is the next one? your billing system is so robust, the claims just auto-post"
"We have been using expEDIum Medical Billing since December 2015. The support team is very good to work with, prompt with fixing any issues. It's user friendly"
Sherry Nichols, Hospital Business Office. The expEDIum Medical Billing Software is an advanced ICD-10 ready, secure Web-based Medical Billing Software and Practice Management Solution available on a monthly subscription. 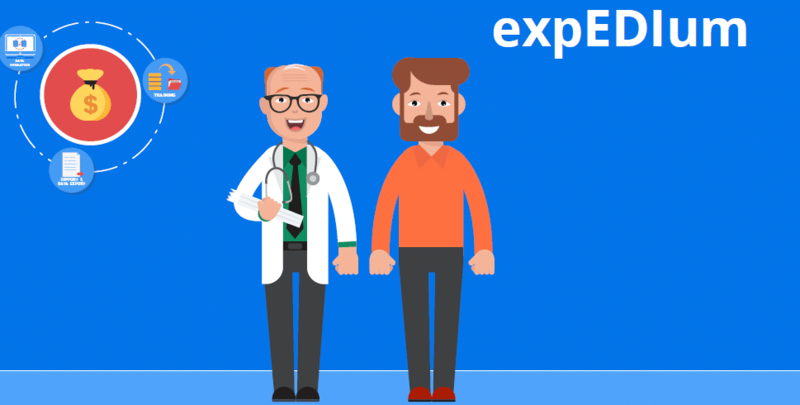 The expEDIum Medical Billing (eMB) Solution allows users to effectively manage and automate complete Medical Billing and Healthcare Claims Processing workflow seamlessly. This Solution supports both UB-04 and CMS-1500 claims in electronic and paper. This software can seamlessly integrate with other clinical applications/EHR/EMR solutions and can do limited customization to fit partners’ necessities. The expEDIum Claims Portal is a comprehensive, easy to use, secure Web-based Healthcare Claims Processing and Claims Adjudication Software that allows to manage complete claims life cycle efficiently. 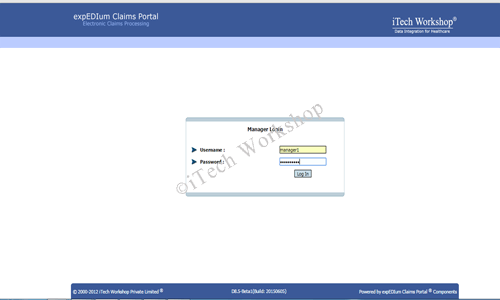 This Cloud based Healthcare Claims Processing Software is an optimum Solution for IPAs, ASOs, TPAs and also for other claims processing companies. In addition to a complete healthcare claims processing solution, it allows provider side access to directly submit claims electronically, perform online referral/authorization and manages the integrated data from a single window. This solution is ICD-10 codes ready and available on a monthly subscription. The expEDIum EMS Billing is a flexible, comprehensive, easy to use ICD-10 ready secure Web based EMS/Ambulance Billing Software that is available on a monthly subscription. The expEDIum EMS Billing Software is designed to eliminate EMS/Ambulance billing errors and get claims paid faster. In addition to a complete billing solution, this software has the capabilities to manage healthcare facilities database that is used by ambulance agencies, facilities/contracted payers billing and other various ambulance specific features. This solution has several inbuilt reports & dashboards, several aging reports which helps for a better data analysis. 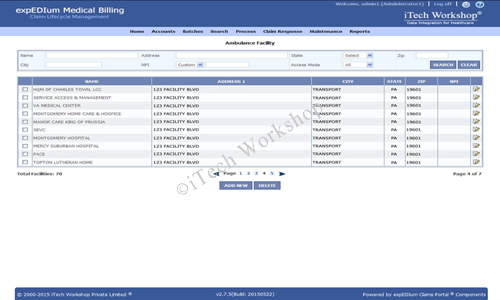 iTech Workshop is the leading Cloud Based Medical Billing Software vendor in the public health clinic space in North Carolina, offers the Health care industry a HIPAA compliant SaaS based Medical Billing Software, Practice Management Software and Claims Processing Solutions. iTech delivers best of breed, cost effective and easy to use secure Healthcare Solution to Medical practices, Hospitals, Ambulatory Surgery Centres, EMS agencies, Billing Service Bureaus, Independent Practice Associations (IPAs), Accountable Care Organizations (ACOs), Third Party Administrators (TPAs)/ Administrative Service Organizations (ASOs), and Management Service Organizations (MSOs). iTech’s solutions are using by over thousands of providers and processing over 50,000 HIPAA transactions a day, 12.5 million a year, across all our products aggregated. These are a combination of Professional claims, Institutional claims, ERAs, Eligibilities etc. The payer ready, HIPAA compliant claims are being sent to several hundred payers and clearinghouses from across the USA. 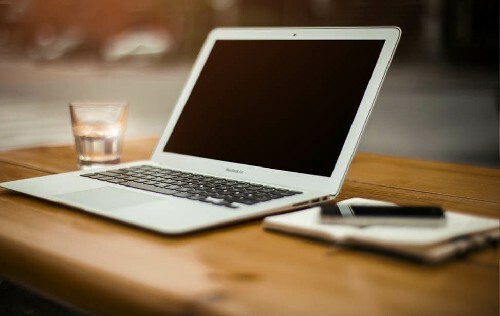 You can request for a remote demo of any of our products or for our whitepapers.